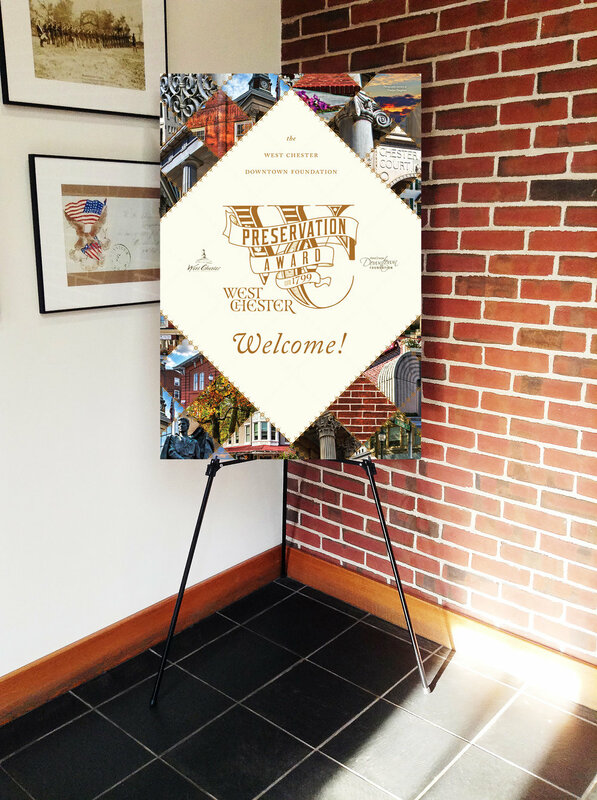 For the Fifth Annual West Chester Preservation Awards, the West Chester Downtown Foundation decided they wanted their brand to appeal more widely locally. My agency was brought onto the committee to evaluate and create strategies to bring liveliness and excitement to this annual Award Ceremony. We designed a new identity to reflect the historic work the WCPA does in the community. For the past 4 years, I've worked to help design stationary, signage, posters, certificates, event materials and the program. I coordinated the creation of bronze award plaques to be given to all past winners as well as presented at the award ceremony. 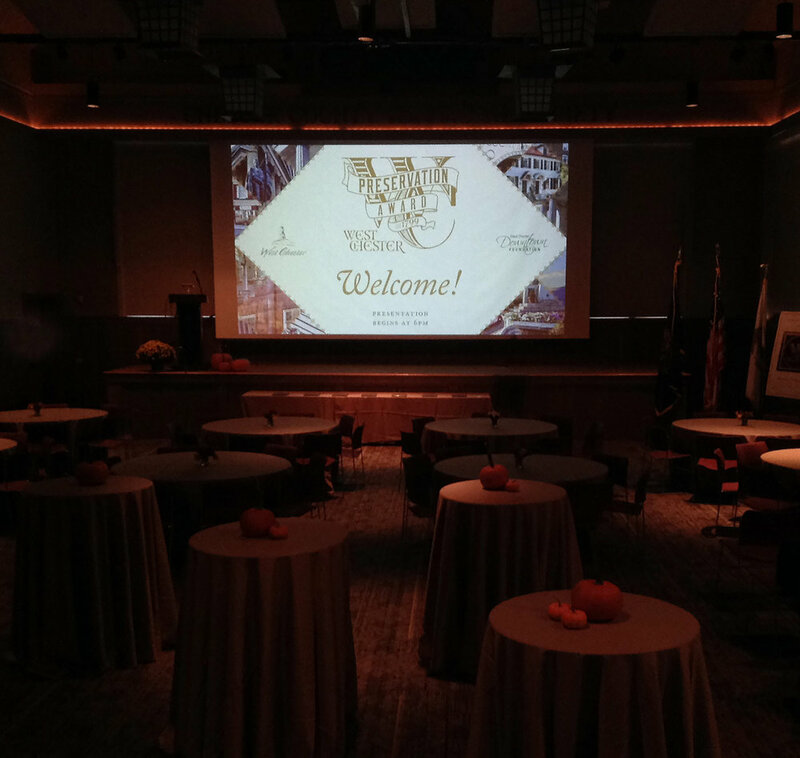 The event features a branded presentation I am in charge of voluntarily every year. I also designed a website exclusively for this event. It is in the process of approval and programming. My organization and social skills have assisted me with carrying this endeavor from beginning to finish, working closely with the president of the committee. I am recognized as a member of the West Chester Preservation Committee.